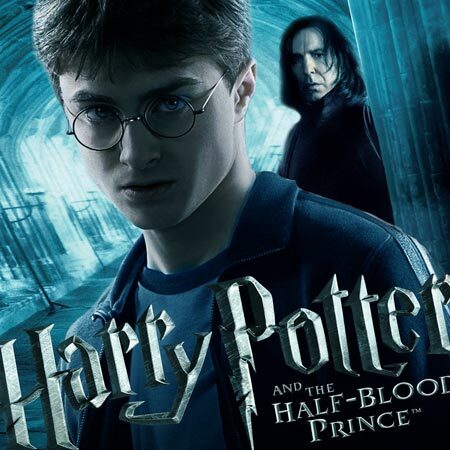 With the recent release of the sixth installment in the Harry Potter series, Harry Potter and the Half-Blood Prince, we felt it necessary to once again address what we call “Potter Mania” and the spiritual deception behind this growing phenomenon. There is still a growing trend towards the occult, with some reports calling Wicca one of the fastest growing religions in America. A quick glance at Potter’s box office revenues as of July 20th, 2009, just five days after its July 15th release, and we see that Potter Mania is further fueling this trend towards the occult ($78MM in its opening weekend alone, and over $404MM worldwide as of July 20th). So what’s wrong with Harry Potter, you ask? The answer to that question is clearly stated in scripture, as we have just read in the example above from Deuteronomy. God takes this issue very seriously in His word. To help us take a look at this issue, we recently came across an article written by Jill Martin Rische, daughter of Dr. Walter Martin (the original Bible Answer Man), which addresses some of the concerns we share here at Good Fight Ministries. At the bottom of this post we list two very helpful resources which helps us better understand what is behind “Potter Mania” and why we need to be equipped to give an answer from a biblical perspective, and why we need to be concerned about presentations of witchcraft, such as sorcery, divination, spells, curses, meditation, occult symbology, black magic, demon possession, dark aspects of witchcraft, and more. Be sure to check back into this blog in the next week for an in-depth article by Pastor Joe entitled, “Twilight, Harry Potter, The Wizard of Oz and the Wiccan Revival” which will further explore this issue. Also available is a FREE video clip on Harry Potter and author J.K. Rowling, taken from our DVD Hollywood’s War on God, in our Good Fight theater. God takes a very dim view of all forms of Witchcraft, including the entertainment kind. Witchcraft is not cute, funny or inspiring. It is not virtuous, although it often wears the mask of virtue. God calls it an abomination, and I don’t know about you, but that’s enough for me. Harry Potter as a “Book of Virtues”? In what reality? Rowling’s agenda has always been clear: she sees nothing wrong with Witchcraft; in fact, she glorifies all of its dark details by wrapping them up in the shiny tissue paper of fantasy. The occult is a lucrative business, and Rowling knows this better than anyone else. She’s made hundreds of millions of dollars working and playing in the wonderful world of the occult. Here’s my take on Harry Potter: Over the years I read the books to see what all the fuss was about, and at first I thought they were entertaining. Offensive in nature, yes (and I said so publicly) but I had to give Rowling her due when it came to storytelling. Today, after intense research into the world of the occult, I would never read another Potter book or waste my time on a Potter movie again. Sure, the adventure part is great, and it’s true that you can teach your kids what not to believe, simply by analyzing a Rowling book, but God hates evil, right? He hates it no matter how fun, exciting or educational it is, and if we love Him, shouldn’t we hate it, too? Witchcraft is the heart and soul of Harry Potter; it always has been and it always will be. But like any other deception fostered by Satan, it is beautifully dressed in the biblical virtues admired by so many. At long last, Rowling revealed a bit of the truth behind her billion dollar creation, and surprisingly, she did the Christian world an enormous favor by her perverse revelation (when she revealed that the character Dumbledore is a homosexual): she settled the Harry Potter debate once and for all. Focuses on the Harry Potter phenomenon that has swept the world since author J.K. Rowling introduced her best-selling book series. 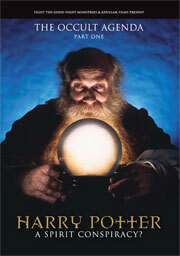 But is Potter-mania merely the result of imaginative writing and clever marketing? 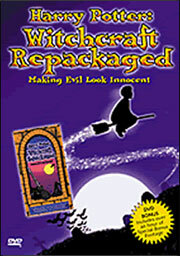 Or could there be a hidden power behind the craze that has “cast a spell” on adults and children alike? Hosts Robert S. McGee and Caryl Matrisciana, authors and occult researchers, show Rowling’s presentation of the following elements of Witchcraft: Mother Goddess, evolution, reincarnation, communing with the dead and spirit world, seasonal nature celebrations, sorcery, divination, spells, curses, meditation, occult symbology, black magic, demon possession, dark aspects of Witchcraft, and more.